It's a little late for this war as the Oscar's are way over and we can't even remember who was nominated anymore anyways. 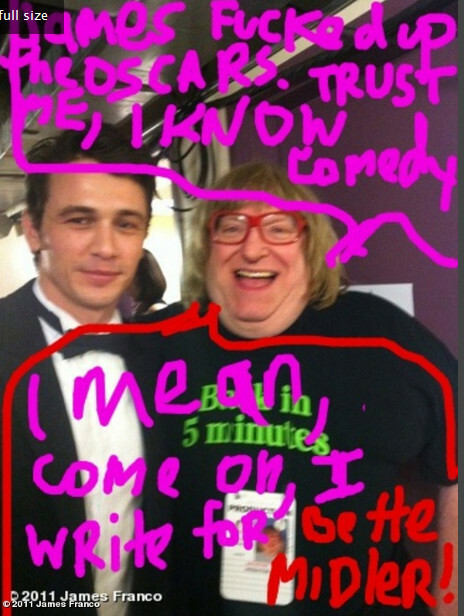 In fact most people don't even know who Bruce Vilanch is. More people know who .James Franco is, but he did kind of blow it. He'd rather forget I'm sure. Me too.